Everyone is invited to join us on this evening of worship, fellowship & support for those in need in our community. 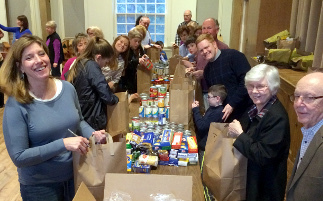 This year we will again support the work of God’s Coop Food Pantry through our Maundy Thursday Mission Project. Food items will be collected throughout Lent to be assembled into food bags on March 24th. You can leave them in collection boxes in the Narthex, Westminster Hall and Church House.